Do you need to be Re-Evangelized? I’m guessing that you’ve answered this question by identifying a certain set of political views. If you did, Lance Ford would argue that you’re defining the term incorrectly. Instead of defining Evangelical by politics, Ford writes, “An authentic Evangelical should be a ‘good news’ person. And not just any old good news. 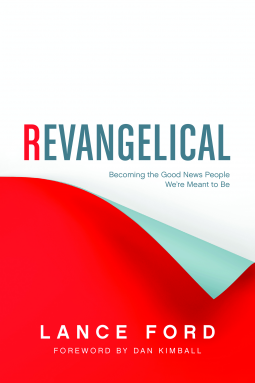 This is about the good news of the Kingdom of heaven—the good news that Jesus brought, lived, and taught.” This is the basis of Lance Ford’s new book Revangelical. At the message at the heart of his book is that Evangelicals need to be re-evangelized. Like many of us, Ford grew up in the politically conservative evangelical world. The problem that he discovered, however, is that this definition of Evangelical doesn’t always line up with the good news of Jesus Christ. He writes, “Many of our positions on issues such as immigration, the poor, and justifications for war have been formed more from a desire for economic stability, self-preservation, and national interest than from the perspective and edicts of God’s Kingdom and the teaching of Jesus.“ Instead of basing what we believe on the Gospel, life, and message of Jesus, we choose to believe based on political parties and radio or television personalities. Now, evangelicals need to become Revangelicals. Ford is calling us to reorient our lives to Jesus. By the very definition of word, an evangelical (which comes from the Greek word for Gospel) should be someone who lives by the Gospel and as Ford writes, “take the words of Jesus seriously.” We need to re-evangelize ourselves and recommit to making Jesus central to our lives. While the culture I grew up in wasn’t nearly as over-the-top conservative as Ford’s upbringing in Texas, I was raised in a politically conservative environment. I understand where he is coming from and agree with his premise that large number of people in the American Church has valued conservative politics over the words of Jesus. This is because many have allowed their politics to inform their view of Jesus instead of Jesus informing their view of politics. To that end, this book doesn’t hold back and calls out a culture that has put the words of Jesus in second place at best. I think a lot of people need to read this book and really take the challenge to heart. Honestly, all of us need to ask the question of whether or not we value the words of Jesus first and foremost. Because, to be fair, there are politically liberal Christians who have done the same things as conservatives. The point of this book, however, is not to defame a specific political party and raise up another as being better, it is to help us recognize that as Christians we are to follow Jesus first. 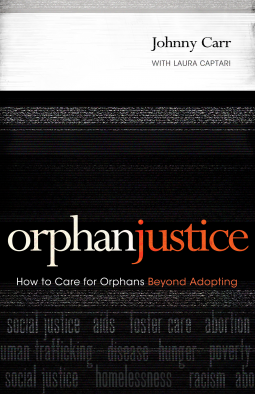 Ultimately this book calls into question our discipleship. Are you a follower of Jesus first, or have you let certain political and social views reign supreme in your life? Whether you are conservative, liberal, or moderate, if you are a Christian, we all need to be careful to follow Christ first, and Revangelical is a good reminder to choose Jesus. Recently I’ve written about a Disciple’s schedule, work, and home. It seems appropriate to add this book review to the discussion of what a disciple looks like. Make, Mature, Multiply is a new book from Gospel Centered Discipleship. If you’re not familiar with GCD you should definitely spend some time on their sight and check out some of the books they have published, this is a great resource for anyone who wants to stay focused on the Gospel and focus on making disciples. Originally published on Englewood Review of Books. I’ve been writing a lot about speaking about Jesus and being an ambassador for Christ. This is something that can be extremely intimidating. What I’ve been learning recently is that it doesn’t have to be.